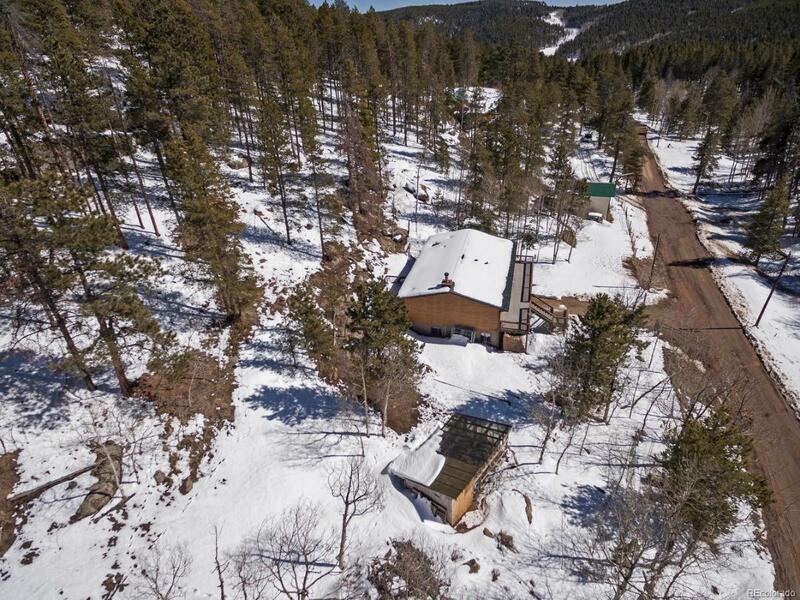 Enjoy Affordable Mountain Living in this cozy raised ranch, that sits on almost 2 acres of land in Conifer! Take in the great Colorado weather on the huge composite deck! Enjoy entertaining in the updated kitchen, with stainless appliances. Brand new carpet throughout, with a master suite that features a 5 piece bath, walk in closet and amazing views from the jetted tub! Lower level is ready for you to finish and add even additional living area. Bring your toys! Oversized shed with 2 stalls, for your RV or other toys, an outbuilding (currently a chicken coop) that could be converted back to a greenhouse, and also another additional shed for even more storage! Quick drive off 285, this home is ready for its new owners to make it their own. Schedule your showings today.